Pill testing is needed to save lives this Australian festival season, advocates say. 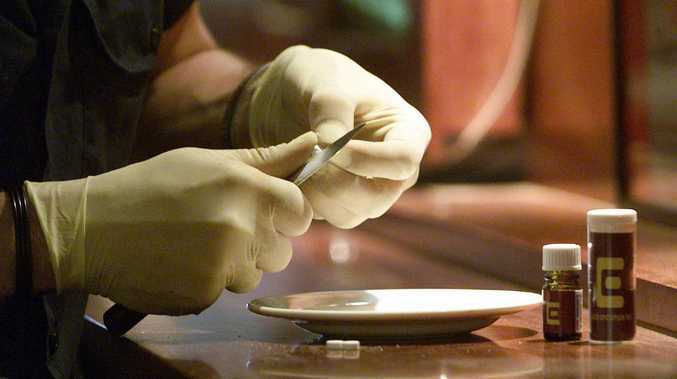 EXPERTS are again calling on federal and state governments to reconsider their opposition to pill testing insisting a zero-tolerance approach is leaving young people dead and law enforcement with no control. "Young people love taking risks," former Australian Federal Police Commissioner Mick Palmer said at today's National Press Club briefing. 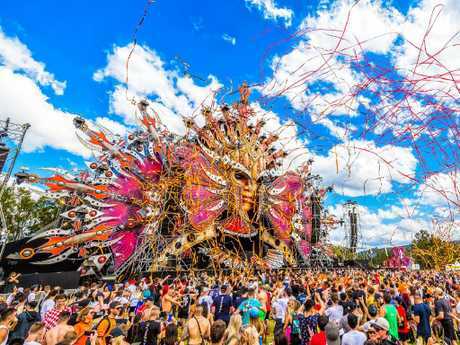 Mr Palmer referred to the 180 police officers rostered on at the Sydney festival Defqon.1 earlier this month in an attempt to stem the flow of illicit drugs sneaking their way into the music event. Despite the heavy police presence, two young people died of apparent drug overdoses at the festival and 700 others sought medical help. "At the end of the day, the reality is that you're not going to stop this happening," Mr Palmer said. Mr Palmer and Matt Noffs, CEO of the Ted Noffs foundation, launched the Take Control campaign today, encouraging states and territories to come to the table on drug reform. "A perfect world is a world where we have total control over all drug markets but that's idealistic and it's impossible. What we have right now is no control," Mr Noffs said. The Ted Noffs Foundation, the largest provider of drug and alcohol treatment services for young people, was instrumental in getting a pill testing trial greenlit at Canberra's Groovin' the Moo earlier this year, the first of its kind in Australia. It was later revealed the pill testing trial had saved two people after researchers found deadly chemicals in their drugs. 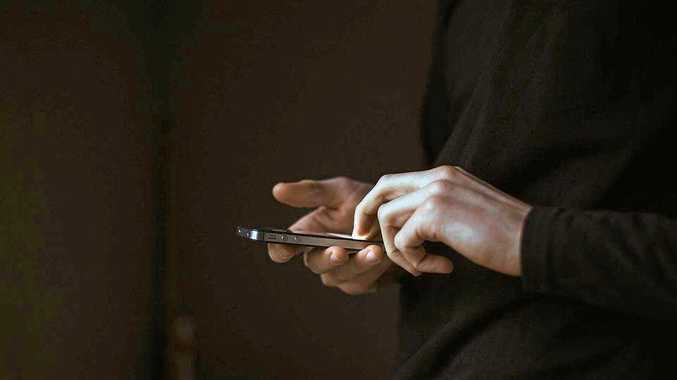 Mr Noffs, now one of Australia's most outspoken advocates for pill-testing, said he studied the evidence on young people and illicit drug use for a year before he realised what needed to be done. But advocating for pill testing wasn't a decision Mr Noffs made lightly, admitting he was "petrified" it would send a message to his kids that illicit drug use was OK.
"The thought of them using drugs. The thought of them in danger petrified me," Mr Noffs told the Press Club today. "I said to my wife - even after all the evidence - 'I can't do it. I can't bring myself to call for pill testing. I don't want them using drugs'. "And Naomi replied, 'What would you prefer? That we just tell them to say no? That we send the message that we'd be ashamed of them? So that we're the last people they feel like they can tell if they're in trouble? Or would you prefer that they can be honest with us? That if they decided that they wanted to try something, that we could find a doctor who had a machine that could discover what they were about to take? Because we can't have it both ways.'" Defqon.1 festival, where two young people lost their lives. Mr Palmer said the nation's approach to people taking illicit drugs was no longer working. "Standing still is simply not an option," he said. "We have to agree to commence drug testing at public gatherings. If it doesn't work, we stop it but to become more aware of the quality and the toxicity of the drugs, the aim has to be to save lives. "Zero tolerance leads to the needless loss of young lives. Why the hell wouldn't we want to sign up to (pill testing)? To minimise and reduce the potential harms that create changes in behaviours. "To ensure, as somebody said, there are signs that say, 'Don't be a dill - test your pill!'" Mr Palmer served as the AFP Commissioner from 1994 to 2001 and was also a former member of the Alcohol and Other Drugs Council of Australia. Mr Noffs referred to the way Australia had "taken control" of other drugs including tobacco and heroin by introducing things like plain packaging and injecting rooms respectively. He also referred to the way the world had minimised harm with cars - rather than removing them from the road, things like road rules and traffic lights were introduced to try and make things safer. "If, today, we were able to remove all potential harms from drugs, hypothetically speaking, if we removed the physical and psychological harm from drug use, would we still have a problem with the drugs themselves? Of course not. It's the harm we need to focus on," Mr Noffs said. "Cars continue to kill people all the time. Do we prohibit cars? We do not. We reduce the harm." As Australia's summer festival season kicks off, thousands of young people are expected to be at risk from misusing illicit drugs or taking potentially tainted batches. As Mr Noffs said, the upcoming season means pill testing advocates "can't wait any longer for politicians' intellects to catch up with their intuitions". After the two deaths at Defqon.1 last week, NSW Premier Gladys Berejiklian called for the festival to be cancelled. "Anyone who is advocating pill testing is giving the green light to drugs - that is absolutely unacceptable. Do not take them … Pill testing is not a solution," Ms Berejiklian said. Mr Noffs said encouraging young people to have their potentially deadly pills tested had nothing to do with authorities permitting drug use. "Those who oppose pill testing claim that we are giving a green light to drug use - that we are condoning it. But I say to them - the antithesis of 'just say no' is not 'just say yes'. "This is not a binary problem. There is a path between where we can educate our children, a path where we can build trusting relationships, a path where we can weave a stronger safety net for future generations. "So if, God forbid, our children decide to experiment - like a majority of young Australians - parents' choices are not simply, 'Just say no or yes,' but rather, 'If you decide you're going to experiment, please take it to get it tested and, if you see a policeman at a festival, that they're there to help you, not harm you'. That they want you to be safe and healthy. "And it's not as if we haven't done this before. We did it with tobacco. We didn't prohibit it. We made it uncool. And we will do it again."